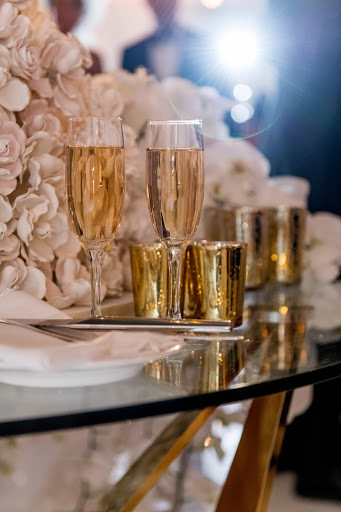 Philip and Paulina’s wedding was one for the books. 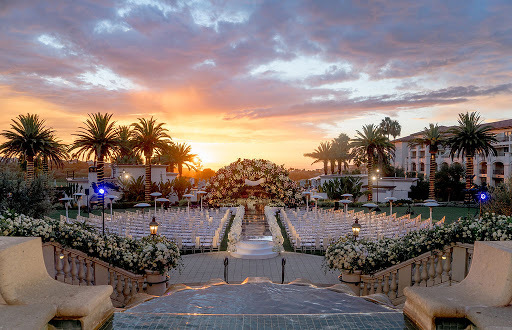 Set at Monarch Beach Resort in Orange County, California, it covered all the necessary bases to be a superstar wedding, and we were thrilled to provide both AV and lighting for such an electric event. The romantic ceremony was held outdoors. The couple ditched the traditional wedding aisle for a modern runway that allowed for the perfect lighting. 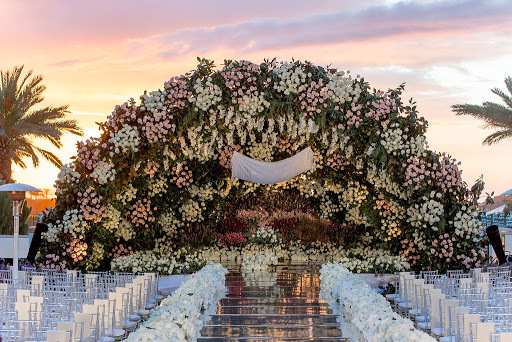 Guests took their seats on both sides of the elevated runway as Philip waited patiently for his bride under a beautiful flower arch designed by LA Premier. Paulina made her descent down the stairs and glided gracefully down the aisle to meet her groom. 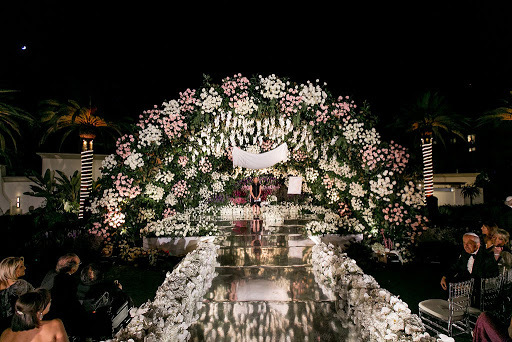 To cap the end of a beautiful traditional Jewish ceremony, the couple exchanged their vows and “I do’s”, and photographer Katie Beverley captured their first moments as newlyweds in front of a backdrop of fireworks that lit up the night sky. But the fun didn’t end there. 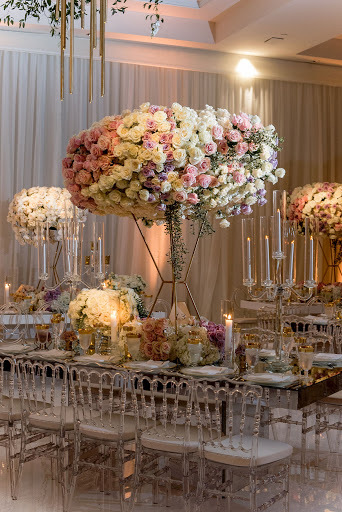 After the ceremony, guests headed into one of the ballrooms at the Monarch Beach Resort, furnished by LA Best Rentals, to share a night of dancing and laughter. 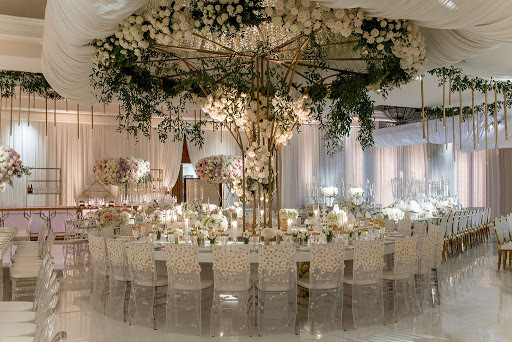 We proudly joined the team of vendors by lighting up the reception from the stage to the dance floor. 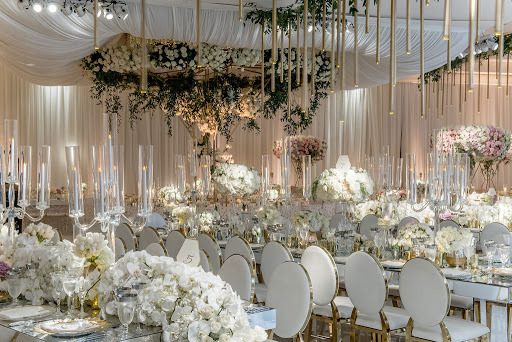 From beginning to end, the couple was showered with love by their family and friends and celebrated in a way that can only be described as a combination of tradition and novelty.